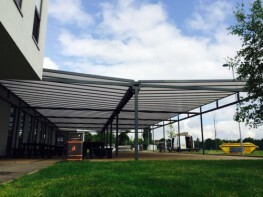 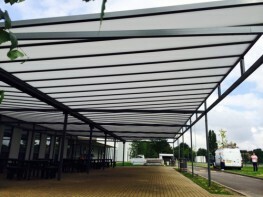 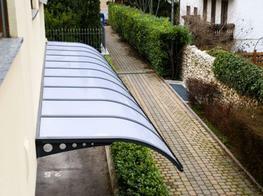 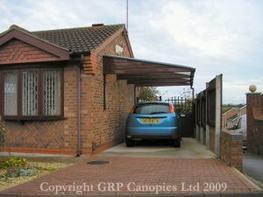 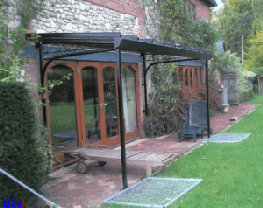 The Double Grange is a large span free standing canopy which is ideal for creating shade and shelter from the weather for larger areas. 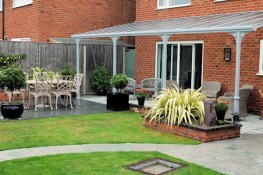 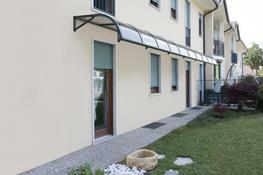 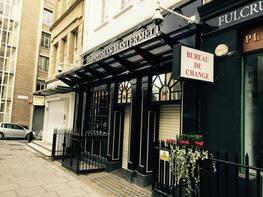 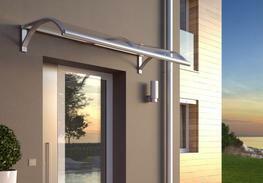 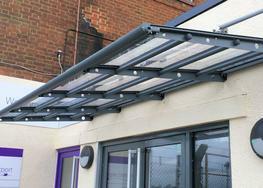 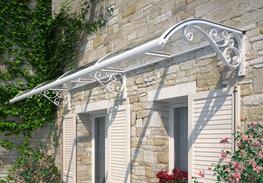 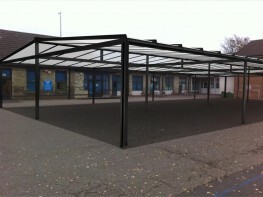 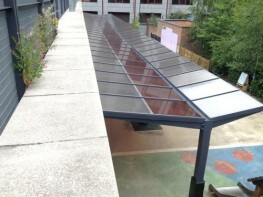 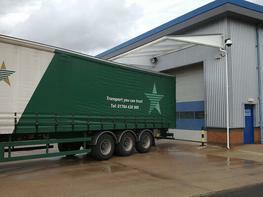 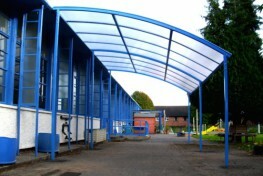 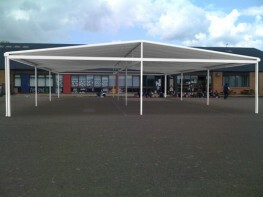 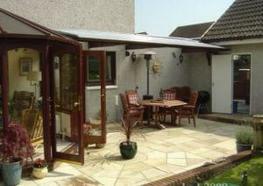 The canopy is an adaption of the Grange Free Standing Mono-Pitch. 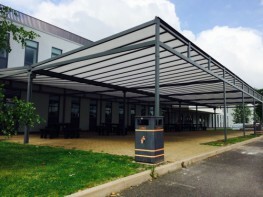 It maintains all of the benefits of the Grange, with the addition of the ability to cover larger areas making it ideal for event venues, large play areas, outdoor dining areas and outdoor classrooms. 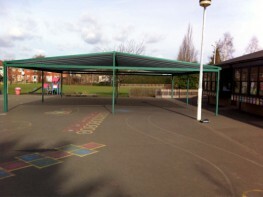 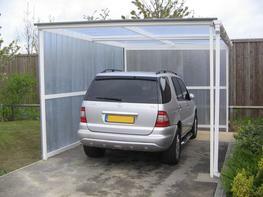 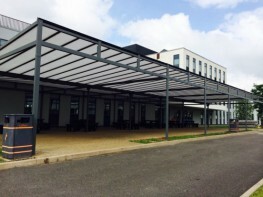 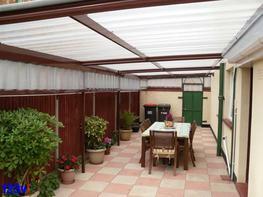 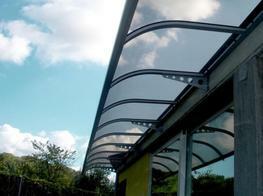 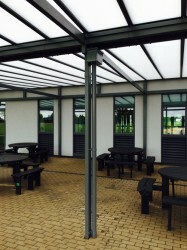 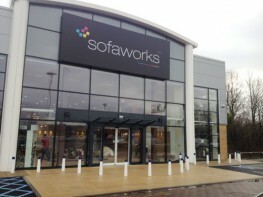 The large permanent structure is constructed from a strong, fully aluminium roof frame which is covered with durable 35mm multi-wall polycarbonate roof sheets & is supported by robust steel posts. 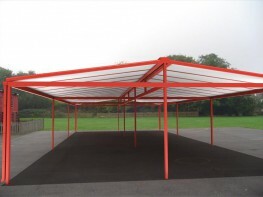 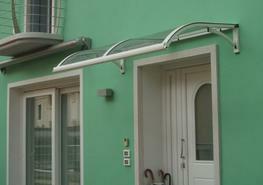 This large structure has a maximum span of 12m and an unlimited length, an integral guttering system is included in the price as standard.